Those tell-tale dimples happen to the best of us; yes, even models and celebs aren't immune. But with swimsuit season in full swing, you might have banishing cellulite on the brain—or at least reducing its appearance. Cellulite enemy #1 is caffeine, which tightens and provides antioxidants to the skin when applied topically. When applied religiously, it has been shown to reduce the appearance of cellulite—especially over time. 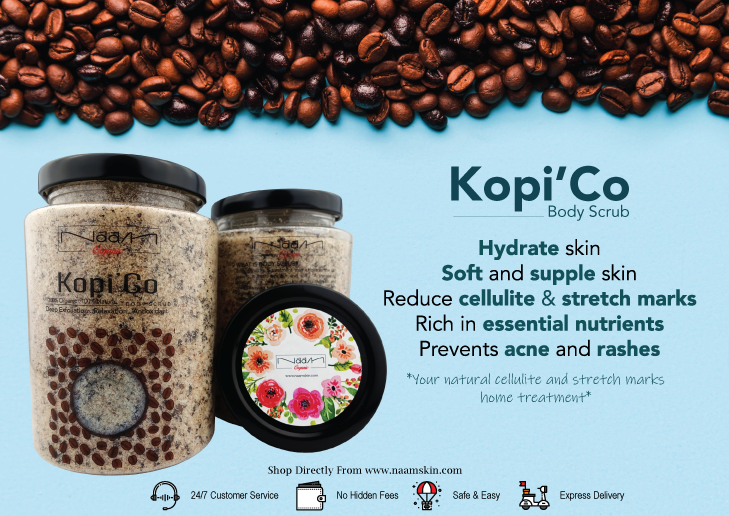 Here, we combine Coffee Grounds with moisturizing, skin-soothing coconut oil and tons of desiccated coconut for an extra exfoliating kick. By massaging this trifecta onto any problem area, you'll stimulate blood flow resulting in smoother, firmer skin. Plus its 100% Natural and 100% Organic !